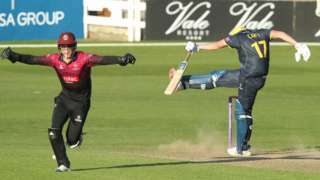 Craig Overton again impresses with bat and ball as Somerset beat Glamorgan by two runs in a thrilling One-Day Cup finsih in Cardiff. 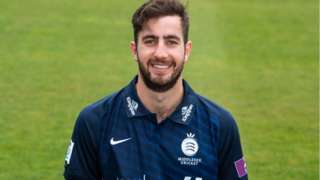 Stevie Eskinazi hits 107 and Nick Gubbins 98 in a new fifth-wicket county one-day record stand of 184 as Middlesex beat Gloucestershire. 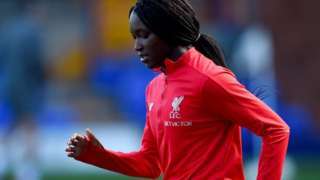 Rinsola Babajide hits her first Liverpool Women hat-trick as the Reds ease to a 5-2 WSL win at home to Bristol City Women. M4 Berkshire westbound severe accident, from J14 for A338 to J15 for A346 Marlborough Road. M4 Berkshire - Two lanes closed and queuing traffic on M4 westbound from J14, A338 (Hungerford) to J15, A346 (Swindon East), because of an accident. M5 Gloucestershire southbound severe accident, between J14 for B4509 Thornbury and J15 for M4 J20. M5 Gloucestershire - Two lanes closed on M5 southbound between J14, B4509 (Thornbury) and J15, M4 J20 (Almondsbury Interchange), because of an accident. Traffic is coping well. 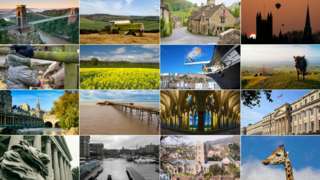 News, sport, travel and weather updates from across the West of England. M5 Somerset southbound severe accident, from J26 for A38 to J27 for A361. M5 Somerset - An accident on M5 southbound from J26, A38 (Wellington) to J27, A361 (Tiverton). Traffic is coping well. M4 Gloucestershire westbound severe accident, from J18 for A46 Bath to J19 for M32. M4 Gloucestershire - One lane closed on M4 westbound from J18, A46 (Bath) to J19, M32 (Bristol), because of an accident involving a car. Traffic is coping well. M4 Gloucestershire - Rolling road-block and an accident involving a vehicle that has left the carriageway on M4 westbound from J18, A46 (Bath) to J19, M32 (Bristol). Traffic is coping well. Approach with care. M4 Gloucestershire - Rolling road-block and an accident involving a vehicle that's left the carriageway on M4 westbound from J18, A46 (Bath) to J19, M32 (Bristol). Traffic is coping well. M4 Gloucestershire - An accident on M4 westbound from J18, A46 (Bath) to J19, M32 (Bristol). Traffic is coping well. 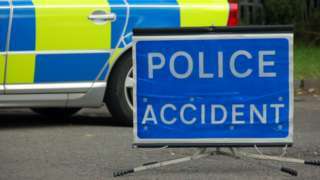 A417 Gloucestershire northbound severe accident, from A436 to A46 Shurdington Road. A417 Gloucestershire - A417 closed northbound from Air Balloon Roundabout to the A46 Shurdington Road junction, because of an accident. Traffic is coping well. M5 Somerset southbound severe disruption, from J21 for A370 to J22 for . M5 Somerset - One lane closed on M5 southbound from J21, A370 (Weston-Super-Mare) to J22, Burnham-On-Sea, because of a broken down horsebox. 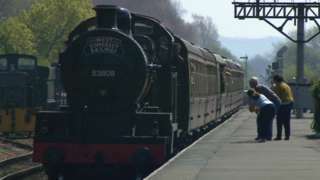 M5 Bristol northbound severe disruption, from J19 for A369 Martcombe Road to J18 for M49. M5 Bristol - One lane closed on M5 northbound in Somerset from J19, A369 (Portishead) to J18 M49, because of a broken down vehicle. Traffic is coping well. M5 Bristol northbound severe accident, at J15 for M4 J20. M5 Bristol - M5 in Gloucestershire lane closed on exit slip road northbound at J15, M4 J20 (Almondsbury Interchange), because of an accident. M5 Somerset - One lane closed on M5 southbound from J21, A370 (Weston-Super-Mare) to J22, Burnham-On-Sea, because of a lorry having a tyre changed.